วารสารวิจัย มข. (ฉบับบัณฑิตศึกษา) สาขามนุษยศาสตร์และสังคมศาสตร์ KKU Research Journal (Graduate Studies) Humanities and Social Sciences - บัณฑิตวิทยาลัย มหาวิทยาลัยขอนแก่น Graduate School Khon Kaen University. 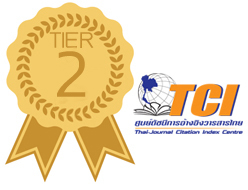 KKU Research Journal (Graduate Studies) is distributed by Graduate School, Khon Kaen University since 2001 to publish research article, academic article, short communication, review article, and book review covered the field of science and technology, multi-disciplinary program in humanities and social sciences, economics, business administration and management, education, and psychology. In 2013, the journal is divided into two main subject fields: KKU Research Journal in Science and Technology published quarterly (4 issues: January – March, April – June, July – September, and October – December), and KKU Research Journal in Humanities and Social Sciences published tri-annually (3 issues: January – April, May – August, and September – December). The articles submitted to both journals are to be evaluated by two peer reviews, internal and external reviewers, and that are never been published or being submitted to any other journal, nor will it be submitted to any journal. 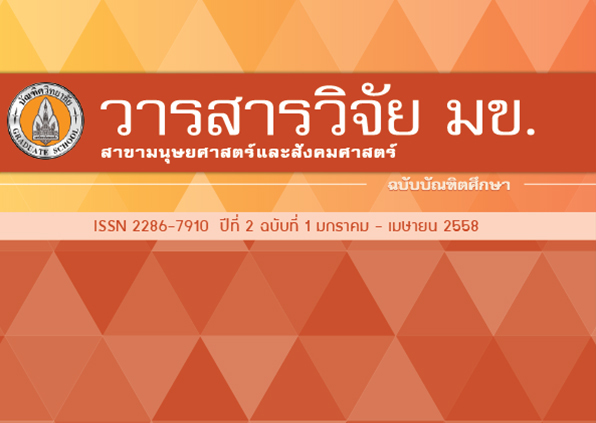 ** Manuscript published in this journal is a copyright of Graduate School, Khon Kaen University. 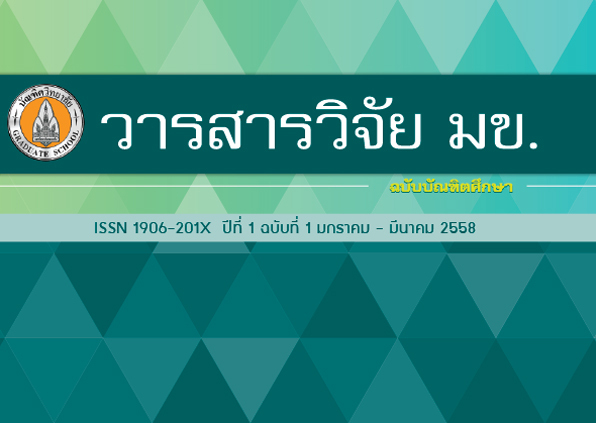 To request for new publication by mentioning any statement of original article, the publish condition is to be allowed by the author and Graduate School, Khon Kaen University. ** The result of study and comments take place in the journal should be responsible by the author excluding the mistake of typing. ** Duplicate is allowed but reference credit is strongly needed.